Cherrrieeeeeees! They are now in season and in great abundance this year so buy them by the bagful from a local fruit and vegetable stand and gorge yourself happy. Fresh cherries are a local luxury and are actually world-renowned for their quality and sweetness. 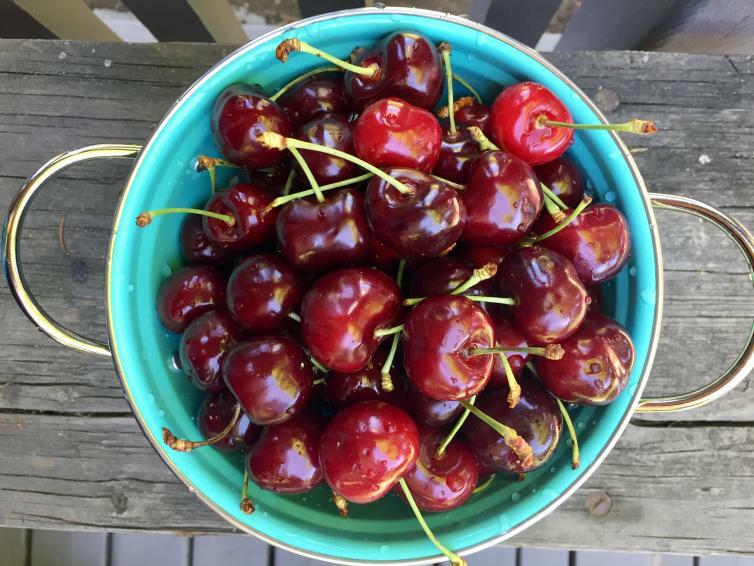 U-pick cherries are now available at: Arndt Orchards, Kempf Orchards, and Sun City Cherries. They are a delight to eat fresh but are also wonderful to cook with. Try making a cherry salsa for your fish taco night or pit some to add to your smoothie. Cherries also freeze well so you can preserve that taste of summer all year long. 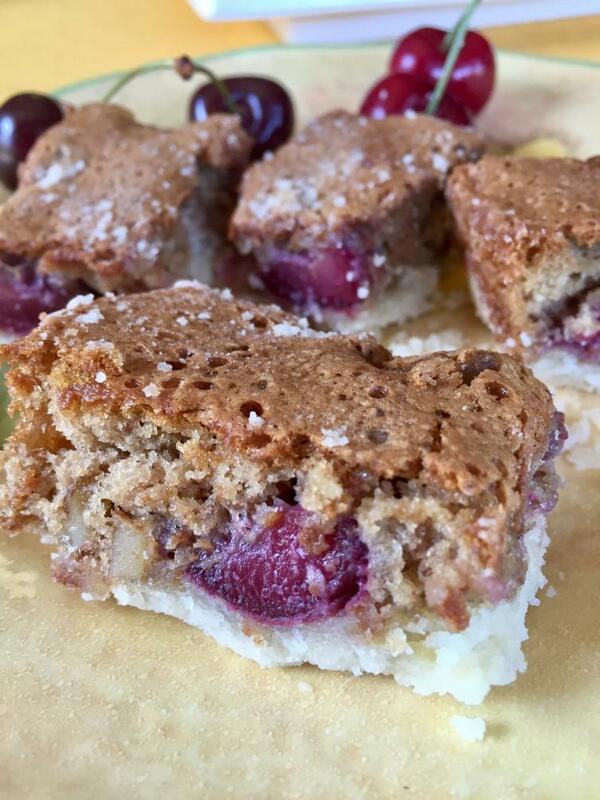 This Fresh Cherry Slice recipe is a family favourite that also features walnuts that also grow bountifully in the Okanagan. Cut 1/2-cup butter into 1-cup flour and 2 tbsp icing sugar. Press into 9x9 pan and bake at 350˚ degrees for 5 minutes. Set aside to cool. Combine eggs, brown sugar, 1/3 cup flour, baking powder. Add cherries, vanilla, salt, and walnuts. Fold gently until all combined. Spread mixture atop crust and bake for 45 minutes. Cool, cut into squares and serve with a smile.